Are you a children's leader in a Vineyard church or church a plant? Do you lead a regular kids focussed community event? The 4-14 Window Task Force is hosting this training day for you to be formed, equipped and empowered to lead amazing kids programmes in your local Vineyard church and communities. R&R is a by-invitation live-in event for Vineyard pastors and planters involving retreat time and theological training. Our vision is to see emerging worship leaders grow in confidence, skill and heart. Vineyard NZ's Worship Task Force is partnering with Grace Vineyard Music, invite you to join us for our school of worship leading, containing two weekend block courses (4-5 May and 29-30 June) and online interactive learning sessions that will cover the theological, practical and leadership skills needed to be a confident worship leader. Join with Raumati Beach Church in exploring together what a bicultural journey might look like. Are you a pastor or key leader in a Vineyard church or church plant in the heartland cities or towns of New Zealand? The Heartland Churches Task Force is hosting a house party for you to be encouraged and equipped in leading your church in your heartland community. COME AND JOIN US FOR THE VINEYARD CONFERENCE 2017! THIS YEAR AT GRACE VINEYARD CHURCH, THIS IS A TIME TO EQUIP, INSPIRE AND ENCOURAGE YOU IN YOUR FAITH AND MINISTRY. We’ve invited Alan Scott, the pioneering leader of Causeway Coast Vineyard church in Northern Ireland. He will bring wisdom and insights that will empower you, challenge you, and encourage you. There will be some real gold for everyone. We are part of a movement of several thousand Christians across NZ who are part of our 23 churches and plants. We would love to be more aware that we can accomplish more together, so we are calling all our people and churches to a week of prayer Monday, February 27th Feb through to Sunday, March 5th. 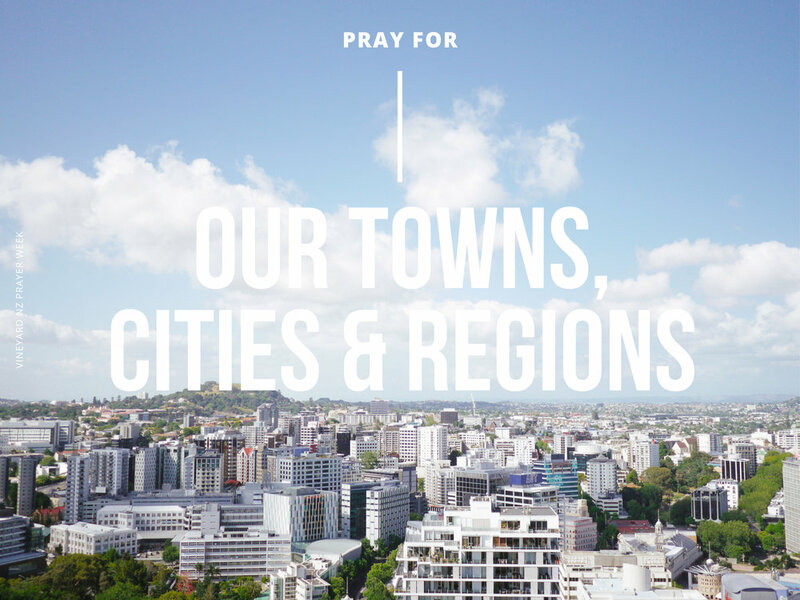 Head to our Facebook page all week long for various prayer points from each of our task forces, and on the final Sunday we would love it if all our churches would take time to pray for us as the VCANZ Movement to be all that God wants us to be, and to move forward in the mission of reaching NZers with the gospel. Some churches are already planning to run it concurrently with a week of prayer for their own church and community, and we are delighted with that approach. We believe it will be a really significant event for us all. Featuring Rich Nathan, Senior Pastor of Vineyard Columbus, and other guests still to be announced, this event will be inspiring and a powerful time of refreshment and vision. 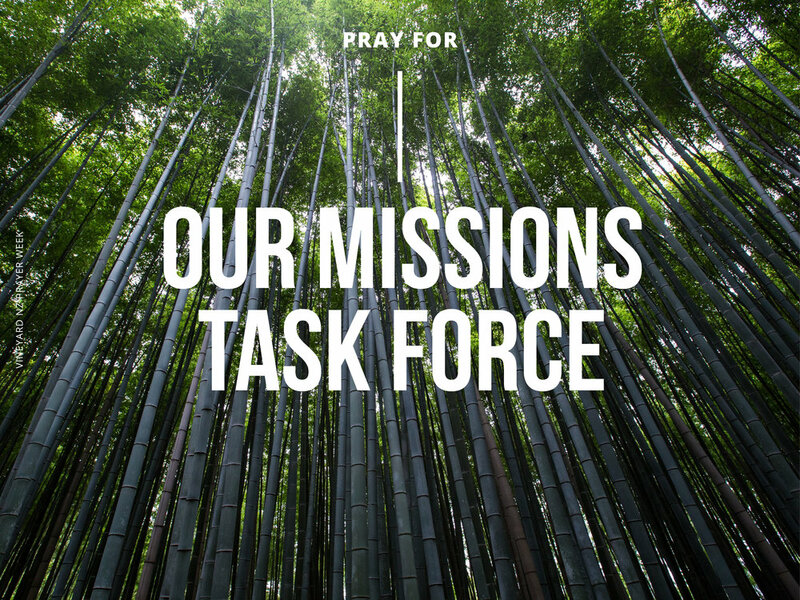 Vineyard Churches NZ Missions Task Force is preparing for a renewal initiative in Phnom Penh, Cambodia, early 2016. A one-day leadership conference to kickstart your 2016 featuring international guest, Gary Best. Hosted by Shore Vineyards, this northern region gathering is a great opportunity for pastors and leaders of Vineyard churches to come and enjoy worship, ministry and inspiring input from a Vineyard hero. The Vineyard Conference 2015, celebrating 20 Years of Vineyard in New Zealand. The Vineyard Conference is a unique opportunity for our Vineyard family and friends to come together to worship God, celebrate what He is doing in His church and to be equipped to thrive in our relationship with Him and others. This year is even more exciting as we celebrate 20 years of the Vineyard in NZ. It's going to be a party! All Vineyard family are encouraged to come to this Vineyard conference in Auckland, NZ. Intensive II for all Church Planting Training Track participants. The Taste & See roadshow is a one-night experience for local church leaders and potential leaders focused around two questions: "What can we do to serve the purposes of God in our generation?" and "What might I be able to do that will outlive me?" Are you a worship leader in a Vineyard church, church plant or home group? 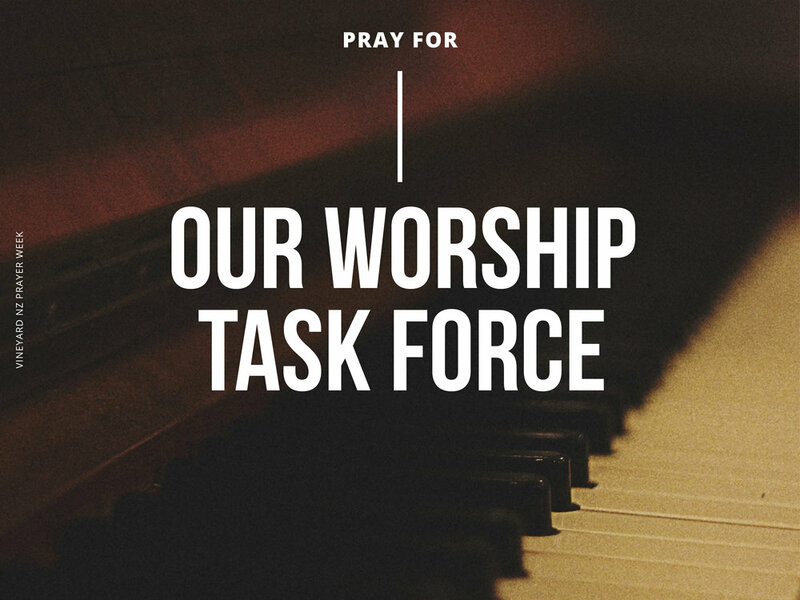 The Worship Task Force is hosting this training weekend for you to be formed, equipped and empowered to lead amazing worship in your local Vineyard church.